Bourbon is not just alcohol - this amber-colored drink is deeply ingrained in American culture and tangled in American history. From the early days of raw corn liquor to the myriad distilleries that have proliferated around the country today, bourbon has come to symbolize America. 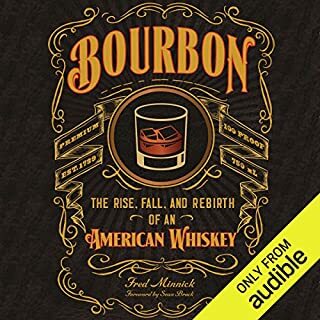 In Bourbon: The Rise, Fall, and Rebirth of an American Whiskey, award-winning whiskey author Fred Minnick traces bourbon's entire history. Unraveling the many myths and misconceptions surrounding America's most iconic spirit, Bourbon Empire traces a history that spans frontier rebellion, Gilded Age corruption, and the magic of Madison Avenue. Whiskey has profoundly influenced America's political, economic, and cultural destiny, just as those same factors have inspired the evolution and unique flavor of the whiskey itself. 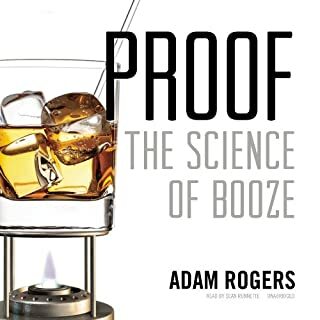 A spirited narrative on the fascinating art and science of alcohol, sure to inspire cocktail party chats on making booze, tasting it, and its effects on our bodies and brains. Drinking gets a lot more interesting when you know what's actually inside your glass of microbrewed ale, single-malt whisky, or Napa Cabernet Sauvignon. All of them begin with fermentation, where a fungus called yeast binges on sugar molecules and poops out ethanol. Humans have been drinking the results for 10,000 years. Distillation is a 2,000-year-old technology - invented by a woman - that we're still perfecting today. 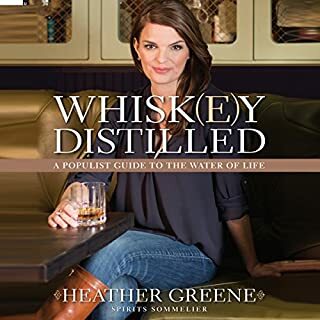 In this lively and authoritative guide, Greene teaches listeners about whiskey and encourages them to make their own evaluations. Peppered with wry anecdotes drawn from her unusual life - and including recipes for delicious cocktails by some of today's most celebrated mixologists - Whiskey Distilled will be enthusiastically greeted by the whiskey curious as well as by journeymen whiskey drinkers thirsty to learn more about their beloved tipple. Buy the hard copy, skip the audio! Its history stretches back almost to the founding of the nation and includes many colorful characters, both well known and obscure, from the hatchet-wielding prohibitionist Carry Nation to George Garvin Brown, who in 1872 created Old Forester, the first bourbon to be sold only by the bottle. Fred Minnick creates a tasting journey that helps you select barrel-aged bourbons based on your flavor preferences. Using the same tasting principles he offers in his Kentucky Derby Museum classes and as a judge at the San Francisco World Spirits Competition, Minnick cuts to the chase, dismissing brand marketing and judging only the flavor of the bourbon. Every great drink starts with a plant. Sake began with a grain of rice. Scotch emerged from barley. Gin was born from a conifer shrub when medieval physicians boiled juniper berries with wine to treat stomach pain. The Drunken Botanist uncovers the surprising botanical history and fascinating science and chemistry of over 150 plants, flowers, trees, and fruits (and even a few fungi). The first edition, published in 2007, won a James Beard Award. 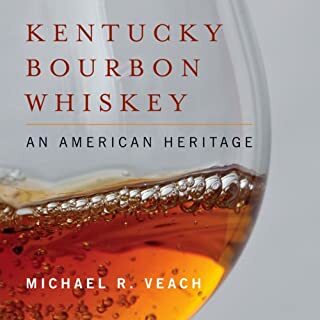 Now updated with newly discovered recipes and historical information, this updated edition includes the origins of the first American drink, the mint julep (which Wondrich places before the American Revolution) and those of the cocktail itself. It also provides more detail about 19th-century spirits, many new and colorful anecdotes and details about Thomas' life, and a number of particularly notable, delicious, and influential cocktails not covered in the original edition. Written by the 7th generation Beam family member and Master Distiller, Frederick Booker Noe III, Beam, Straight Up is the first audiobook by a Beam, the family behind the 217-year whiskey dynasty and makers of one of the world's best-selling bourbons. 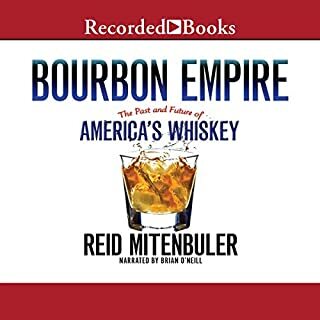 This audiobook features family history and the evolution of bourbon, including Fred's storied youth "growing up Beam" in Bardstown, Kentucky; his transition from the bottling line to renowned global bourbon ambassador; and his valuable business insights on how to maintain and grow a revered brand. Discover the underdog story of the improbable rise of small-batch distilling in America. This bracingly written, fast-paced work traces the relationship of Americans to spirits such as bourbon, scotch, vodka, gin, and rum. And it presents the full story of a plucky band of entrepreneurs who disrupted the nation's conception of how those libations could appear and taste - and how much they could cost. Best selling history writer Thomas Cahill continues his series on the roots of Western civilization with this volume about the contributions of ancient Greece to the development of contemporary culture. Tracing the origin of Greek culture in the migrations of armed Indo-European horsemen into Attica and the Peloponnesian peninsula, he follows their progress into the creation of the Greek city-states, the refinement of their machinery of war, and the flowering of intellectual and artistic culture. Once the drink of sailors and swashbuckling pirates, rum is the most versatile - and the most varied - spirit in the world. It is consumed neat as a sipping drink, on the rocks, and in a dizzying variety of cocktails like the mai tai, mojito, and piña colada. 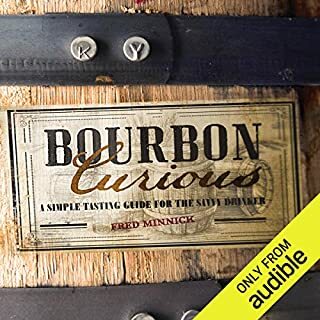 In Rum Curious, author Fred Minnick first takes the listener on a whirlwind tour of the world of rum, describing its many styles, explaining the great variety of fermenting, distilling, and maturing processes, and highlighting distillers and distilleries. A gripping and provocative tale of violence, alcohol, and taxes, The Whiskey Rebellion pits President George Washington and Secretary of the Treasury Alexander Hamilton against angry, armed settlers across the Appalachians. Unearthing a pungent segment of early American history long ignored by historians, William Hogeland brings to startling life the rebellion that decisively contributed to the establishment of federal authority. And a Bottle of Rum tells the raucously entertaining story of America as seen through the bottom of a drinking glass. With a chapter for each of 10 cocktails, Wayne Curtis reveals that the homely spirit once distilled from the industrial waste of the exploding sugar trade has managed to infiltrate every stratum of New World society. Curtis takes us from the taverns of the American colonies, to the plundering pirate ships off the coast of Central America, to the watering holes of pre-Castro Cuba, and to the kitsch-laden tiki bars of 1950s America. If you're new to Irish Whiskey, we guarantee you'll walk away from our lessons feeling confident enough to talk shop with the most experienced bartenders and Irish Whiskey fans. You will gain immediate fundamental knowledge of how Irish Whiskey is made at the top Irish distilleries like New Midleton, Old Bushmills, Kilbeggan, and Cooley. If you're already familiar with Irish Whiskey, you will assuredly still learn along the way. In The Book of Gin, Richard Barnett traces the life of this beguiling spirit, once believed to cause a new kind of drunkenness. In the 18th century, gin-craze debauchery (and class conflict) inspired Hogarth's satirical masterpieces "Gin Lane" and "Beer Street". In the 19th century, gin was drunk by Napoleonic War naval heroes, at lavish gin palaces, and by homesick colonials, who mixed it with their bitter anti-malarial tonics. Gin sloe is not covered in the book. Mezcal. In recent years, the oldest spirit in the Americas has been reinvented as a pricy positional good popular among booze connoisseurs and the mixologists who use it as a cocktail ingredient. Unlike most high-end distillates, most small-batch mezcal is typically produced by and for subsistence farming communities, often under challenging conditions. The Home Distiller’s Workbook tackles the often misunderstood and misrepresented world of moonshine and distillation and reduces them to such simple concepts that even a first time "Shiner" can understand. The HDW will introduce you to the three basic steps in making your own artisan-crafted spirits: brewing, distilling, and ageing. We will be tackling these steps one by one in a way that will have you saying "I just can’t believe it was that easy." And the truth is that it’s even easier then that. If you can follow a recipe to make a cake then with the help of the HDW you could be making anything from Moonshine to Vodka. Without women, whiskey may not exist. 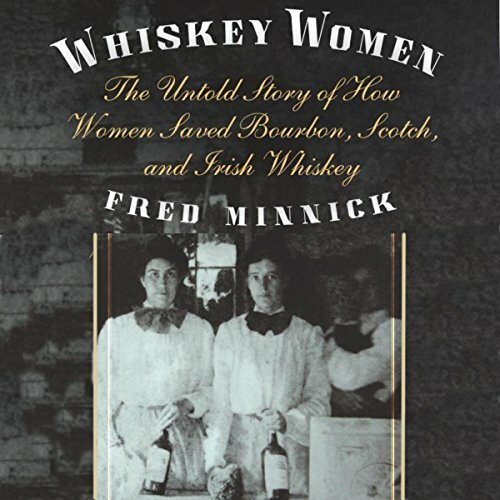 In Whiskey Women, Wall Street Journal-best-selling author Fred Minnick tells the tales of women who have created this industry, from Mesopotamia's first beer brewers and distillers to America's rough-and-tough bootleggers during Prohibition. Women have long distilled, marketed, and owned spirits companies. These strong women built many iconic brands, including Bushmills, Laphroaig, and Maker's Mark. Until now their stories have remained untold. Women should be proud of this. If you could sum up Whiskey Women in three words, what would they be? Great listen. Really interesting. We should learn to appreciate the contributions women have made throughout history in keeping their families fed and dealing with adversity. We should be proud of ourselves and them. Have you listened to any of James Killavey’s other performances before? How does this one compare? Reading was fine. Just right for this kind of book. History but...very interesting history. Went way back to the beginning of whiskey production then up to prohibition and after and finally to the present. What made the experience of listening to Whiskey Women the most enjoyable? Credit given to the remarkable input of women to all phases of whiskey making..types, labeling, defeating prohibition. Women power in a place I knew nothing about. What was one of the most memorable moments of Whiskey Women? Some of the stories about women bootlegging during prohibition were hysterical. This is the third book of his that I'd heard. I like his style, especially for this type of book. Never lost my interest ... very enjoyable. What did you love best about Whiskey Women? I got this because I'm a whiskey drinker but really don't know much about it and was curious. It turned out to be a great book on many levels. Not only answered all my questions about "whiskey history," but also gives women their due in a lively and entertaining book. My whimsical way of picking audiobooks does not always work..this time, though, I got a winner. What about James Killavey’s performance did you like? This was a history so...all of it was interesting. Title is fine but it would have to be a documentary. Reader was quite good. Some of the pronunciations were tough and, as far as I could tell, he got them all. Found the "history of whiskey" fascinating. Not just for women. Really, really interesting book...if you like history. Would you listen to Whiskey Women again? Why? Maybe...at some point in the future. There were a few stories that made me laugh. This reader is rapidly becoming one of my favorites. He's quite good. I personally did not care to much for the reader, it was hard at times to stay tuned in, I think his voice would be more suited if it was a reading about wars or "how its made". Despite that...I thoroughly enjoyed this book. It was very interesting to know about not just the history and foundations of the distillation process of whisky, but the historical aspects of it and the importance of the role of women, throughout history up to the present, in the whisky industry! Would you consider the audio edition of Whiskey Women to be better than the print version? NO. At least the print version would be silent and I wouldn't have to hear the narrator. I love women's history and I'm researching distilleries and distilling history at the moment. This book was painful to listen to. What didn’t you like about James Killavey’s performance? He sounds like that mockery of William Shatner--where people overact his timber, cadence, accent on words. Although this was no mockery, it was the actual book. It's like Siri narrated it--it was either flat and monotone or it was accented in odd nonsensical places. I want my credit back. I'm returning this book ASAP. I love Audio Books and this is a great book. The only sugestión is the audio. There was little passion and it sounded like a machine was reading it. Would have loved a female voice or at least some one that would have made me feel the book. To be honest it got a bit under my skin. This book might have been good. I don't know because the narrator was TERRIBLE. I couldn't understand him most of the time. His inflection was wrong with broken speech patterns. Honestly, I had to check to see if there was an actual narrator because I thought they used a terrible automated computer program.